BJP seeks Rahul Gandhi’s Support on Triple Talaq: Well, as you all may know that Congress chief Rahul Gandhi and BJP’s main leaders are running a race to win the 2019’s elections. Both parties are trying to attract the attention towards their agenda and for that, they are playing every single card they can. 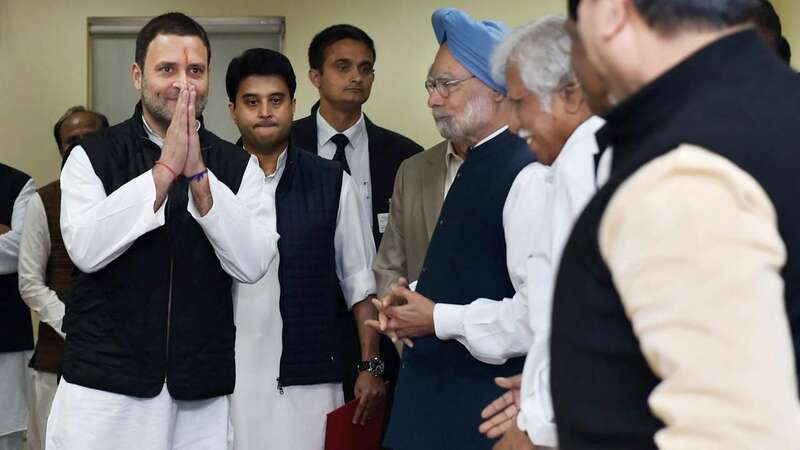 Sources are saying that Rahul Gandhi offered his unconditional support to the Women’s Reservation Bill while the Union Law Minister Ravi Shankar Prasad on Tuesday wrote back to him, asking for his support towards the triple talaq bill and prohibition of nikah halala. As you all can see that by supporting each other’s “Good Work” they both wanted to be the good guy in the public’s eye. You all should note that nobody is willing to play the villain in this last moment of Modi’s government. Now, Prasad wrote a letter to Rahul Gandhi with these words, “As part of the ‘new deal’, we should approve, in both Houses of Parliamentm the Women’s Reservation Bill, the law prohibiting Triple Talaq and imposing penal consequence on those who violate the law, and prohibiting Nikah Halala,”. You all should know that as a reply to Gandhi’s letter, Parsad replied in his letter by writing, “As national parties, we cannot have two sets of standards in dealing with women and their rights.” Also, they claimed to be together as one for the good things, and for the good causes of Indian people. As you all may know that Gandhi had written to Prime Minister Narendra Modi saying Women’s Reservation Bill be taken up by the Congress on a priority for passage. You all should know that he also wrote to the PM and said, “What better way to demonstrate your commitment to the cause of women, than by offering support to the Women’s Reservation Bill.” Also, the reports are coming that Gandhi commented on the whole issue after PM Modi accused Congress of being a party of Muslim men and not standing with the Muslim women on their issues.